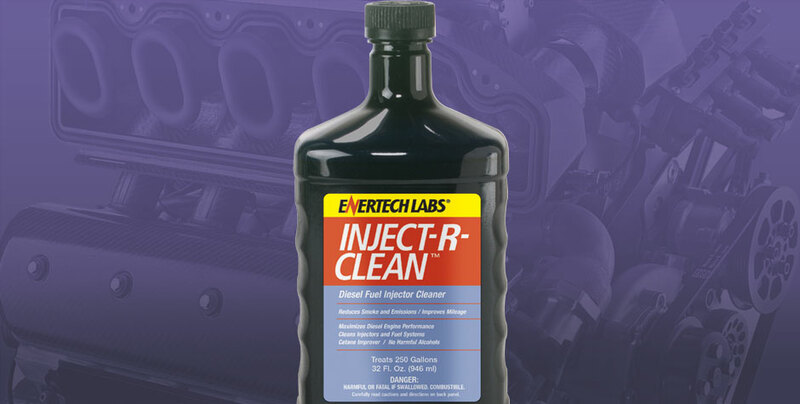 Diesel Fuel Injector Cleaner: Quickly and Safely Cleans Diesel Fuel Injectors and Pumps to Reduce Smoke and Emissions; Improve Efficiency, Increase Power, and Improve Startability. For best results, use once a month or every 10,000 miles, adding contents to fuel tank(s) prior to fueling. The fueling process will then ensure that complete and proper mixing takes place. Treatment ratio is 1:1000 which equals 32 oz. per 250 gallons, or 1 gallon per 1000 gallons of fuel.For even more benefits, we suggest the use of EnerFuel every time you fuel. Problem – Check engine light and the engine had poor power. Treatment – This customer filled fuel filter housing with Inject-R-Clean and treated the fuel tank with InjectRclean plus Complete Fuel Treatment. They ran the truck in the lot for 45 minutes then drove the truck hard. Results – Power returned to the truck and the check engine light turned off. The customer stated that they were very satisfied with the results of product. Problem – The bus check engine light came on and the engine shut down. The bus had to be towed to school. Result – The engine returned to normal operating procedure and the check engine light turned off. 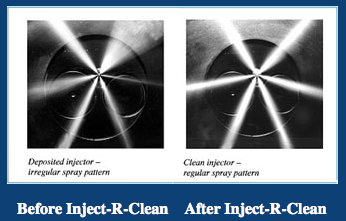 I had a Skytrak with bad, dirty injectors, that I thought needed replaced because they were dirty beyond cleaning. After treating with Inject-R-Clean, and letting the machine run for 30 minutes on high idle, I started to notice that I didn’t have to change the injectors, and I was able to place the equipment right back out for rent. I thought I had bad injectors, that were going to need replaced on an air compressor. 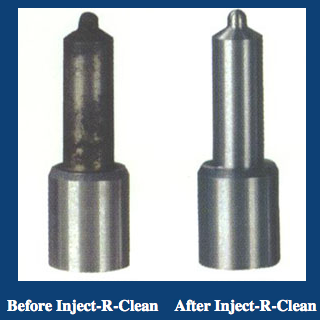 Instead of replacing the injectors, I instead treated with Inject-R-Clean to find out that they did not need to be replaced, and it saved me time, and money on the repair and the compressor is now running completely smooth with no injector issues at all.